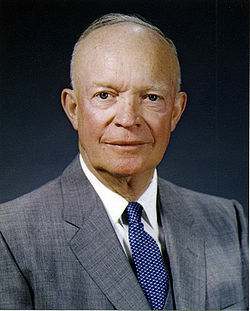 Mars / L. Eisenhower -  An epic journey of new discovery so fantastic that our natural instinct would be to block it out. Laura Eisenhower is the great-granddaughter of Dwight David Eisenhower. While residing and traveling independently in the U.S. and abroad, she developed an excellent knowledge base in frontier health, Exopolitics, alchemy and ancient history, and also has degrees and certifications in science, wilderness expedition leadership, natural healing and building. She has masterfully woven together the esoteric and alchemical aspects of nature with our ancient roots, hidden history, the present world, and our future potential. For anyone who wants to listen to the audio of my full presentation in San Marino, Italy check it out here!! It covers ET and government Treaties, secret history about the Greys, Weather modification, Geo-engineering, Mars and Alternative 3 and then Alternative 4 ~ the power of the Human Spirit and the shift we are creating through embracing our divine birthright, truth and unification. Laura Magdalene Eisenhower, great-granddaughter of former President Dwight David Eisenhower (1890-1969), has exposed her attempted recruitment from April 2006 through January 2007 by a secret Mars colony project. Awake in the DREAM Radio with Laura Magdalene Eisenhower and Dr. DREAM, this week's guests are Dane Wigington (GeoEngineering and Weather Modification), Fernando Vossa (Free Energy / Conscious Living), and Michael Tellinger (Ubuntu Party, Free Energy, Our True Nature). Dane Wigington is the lead researcher for www.geoengineeringwatch.org and has investigated all levels of geo engineering from chemtrails to HAARP. He assisted Michael Murphy with his production of “What in the World are They Spraying” and has appeared on an extensive number of interviews to explain the environmental dangers we face on a global level. Fernando Vossa is a Free Energy Researcher - Consciousness Scientist - Whole Body Healing Technologies - Ancient Wisdom & Technology - Fine Artist - Virtual Environments. 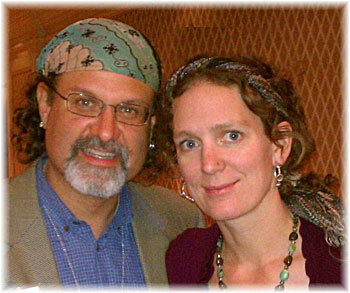 Vossa incorporates a series of accelerated learning protocols, DNA activation, & whole body immersion technologies for kids of all ages to learn universal concepts of Free Energy, Peace for humanity, Human Potential, Healing, Infinite Creativity, and Personal Empowerment tools to transform our planet with love and compassion. These are called "Transformation Design" Vossa is now designing an entire eco-community beginning with a sustainable home that heals our bodies. Michael is also the founder of the UBUNTU Party in South Africa.